Xbox Is Hot, but for How Long? Microsoft is in a pretty good place right now. It doesn’t have the top selling console, as that honor goes to the PlayStation 4. It doesn’t have the most buzz either, since the Switch is getting most of the hype lately. 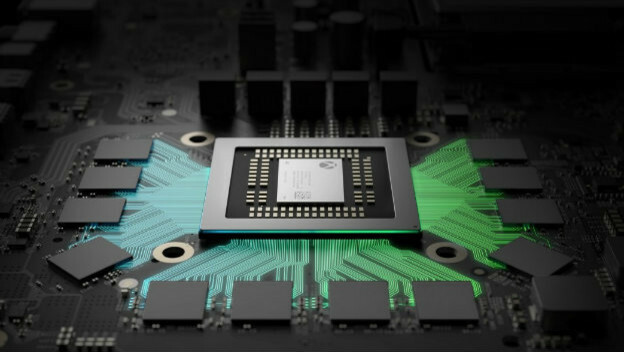 But the company has been making these strategic moves that should put the next Xbox in position to take the lead in the ninth console generation. That is, if it does not make some small or monumental missteps. We already know Microsoft is capable of screwing things up in a big way, and there are plenty of mistakes it could make to make sure Sony or even Nintendo is on top going into the next generation. The first would have to do with timing. The Xbox One X was released on November 7, 2017. If Microsoft announces the next Xbox at, say, E3 2019, then it better make sure that new system does not launch until 2020 or later. Here’s why. The Xbox One X is a $499.99 system. People are not going to be happy if they just spent that kind of money on a new system, then suddenly have to pay perhaps another $499.99 for an entirely new one to enjoy the best and brightest games. I imagine they would wait until the new system gets its first console revision, which is the last thing Microsoft would want. If Microsoft wants to keep goodwill, it would have to wait until, at the very least, the 2020 holiday season to launch its next console. Bringing it out any earlier could be a mistake that could cost the company a chance at the next generation lead. The next thing Microsoft could do wrong to ruin its possible head start is to not work well with developers. They had issues with first-party games on the Xbox One. We saw major cancelations of anticipated titles like Scalebound, as well as repeated and extended delays for games like Crackdown 3. But at E3 2018, it seemed like there was a change that could lead to a brighter future. It announced Ninja Theory, Undead Labs, Playground Games, Compulsion Games and The Initiative would all be under Microsoft’s umbrella. Which is fantastic! Those developers made games like Hellblade: Senua’s Sacrifice, Forza Horizon 4, State of Decay 2, and We Happy Few! But, we have to remember that Microsoft has not played well with developers it lords over before. Remember how it shut down Lionhead, creators of the Fable series, abruptly. It let Bungie get away in 2007. It also killed Ensemble Studios, the company responsible for Star Wars: Galactic Battlegrounds, Age of Empires, Age of Mythology and the first Halo Wars games. Microsoft has not always made wise decisions with those under its command, and not prioritizing first-party games and experiences next generation could cause a problem. We also have to wonder about backwards-compatibility. That has been one of Microsoft’s best decisions in this eighth console generation. While Nintendo and Sony got rid of the ability to play older games you already own on your current hardware, Microsoft embraced it. The Xbox One can play select Xbox and Xbox 360 titles! That is huge! But, it also took two years for it to become backwards compatible with older games. If Microsoft can launch the next Xbox and have it include all the support for the same older games the Xbox One has, things will be fine. But, if it takes another two years for the feature to appear, that could be bad for business and result in another misstep. Finally, it would be a good idea to get some exclusivity arrangements back in place. Years ago, if you wanted DLC or extras for other games first, you had to be on the Xbox 360. That changed over the last few years. Sony wooed away companies like Activision and Ubisoft, garnering add-ons that would launch on the PlayStation 4 before heading to other systems, if they appeared on the other consoles at all! Losing Call of Duty was a huge blow. Know what would make things better? If Microsoft started putting together some deals with companies like Capcom, EA, and Square Enix. I mean, it already had entries in the Dead Rising and Tomb Raider series, as well as being the only console with EA Access. If it doesn’t try to beat Sony at its own game, that could be another problem. We want the next Xbox to do well. I mean, we all love games. If the system to come after the Xbox One is a success, that means more of the things we enjoy. Nobody likes to see someone fail! But, Microsoft can’t afford to get cozy. It may be in a good place to shoot ahead when the next console generation starts, what with things like the Xbox Games Pass, backwards-compatibility, and five major developers under their umbrella, but it would be easy to be tripped up and fall behind again.